Come and check out this spacious Chateaux at Aurora Park townhome. This two bed three bath has tons of extra space with an additional loft space and open finished basement space that includes tons of storage and would be great for a workshop area. A large loft area is at the top of the stairs, great for an office or another more secluded living space. Also upstairs is a large sunny master, big closet, and 5 piece bathroom including a soaking tub. 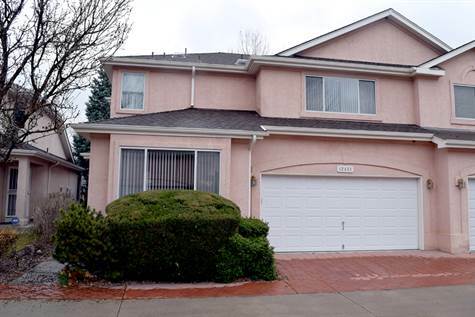 It also has the convenience of a main floor bedroom, good sized closets, two car garage, patio area, A/C, and has a good location near the Westerly Creek Trail, restaurants, and some shopping, also just a short drive to the Nine Mile or Iliff light rail stations.